This weather is just what we asked for…keep it up Earth. This time last week our eldest was on her week-long school trip. It's was the longest we've been apart, and she was really excited for it but it was really super strange not being able to speak to her for that long. I hope the weather stays good for the Easter weekend. I edited this single RAW photo using Aurora HDR 2019. 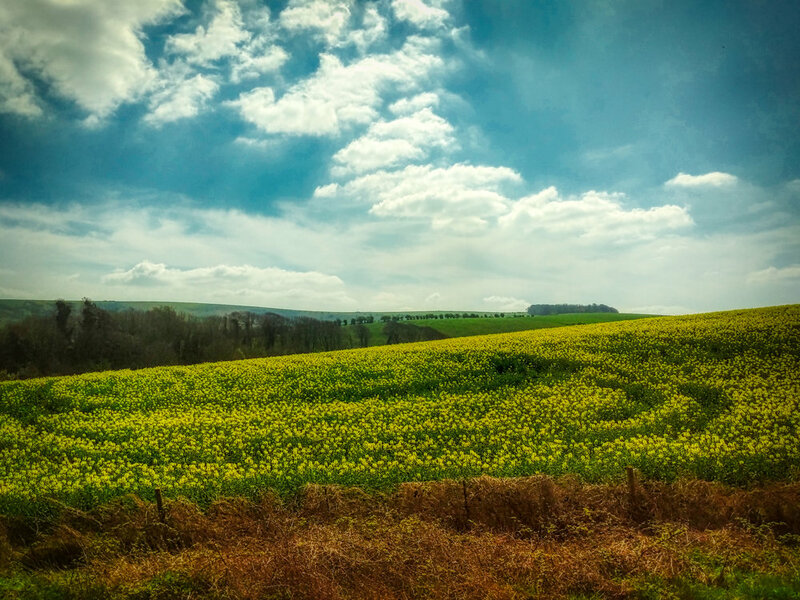 The fields around Brighton are starting to fill with colour. This was taken from the window of a train this afternoon. Blue skies, fluffy clouds and lush green and yellow fields.